Ava Claire Romantica: Now Available: The Billionaire's Wife (Part Three)! Now Available: The Billionaire's Wife (Part Three)! Secrets seep in like poison. Corrupting. Destroying. Leila Whitmore thought the biggest secret was Cole Sommers. She was wrong--and the truth will cost her dearly. The Billionaire's Wife (Part Three) is the third installment in the Billionaire's Wife series. Fifty by Fifty 2 Boxed Set and FB Party! To celebrate the release, we're throwing a Facebook party! The party will be on January 22. 2015 from 5pm-10pm Eastern Standard time (EST). There are dozens of books and Amazon gift cards being given away throughout the party and while I'm playing host from 9-9:30 EST, I'll be giving away 5 $10 Amazon gift cards!! 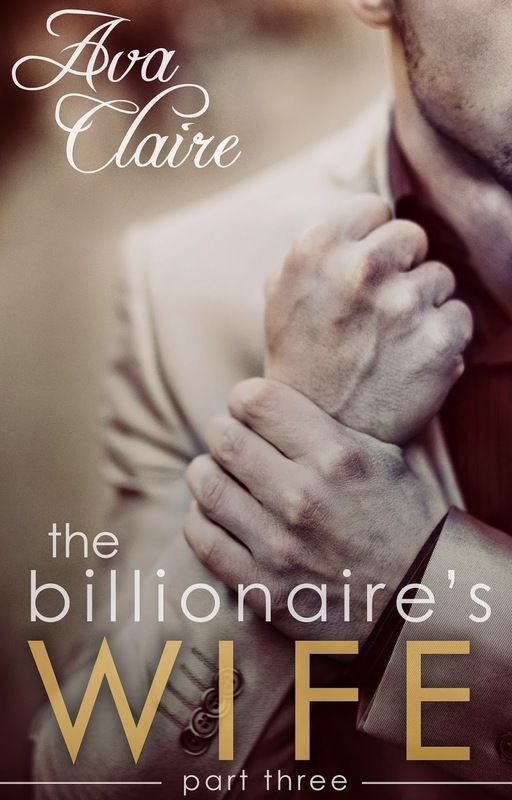 The Billionaire's Wife (Part Four) will be released February 27!